A world-renowned presidential historian, public speaker and Pulitzer Prize-winning, New York Times #1 best-selling author. 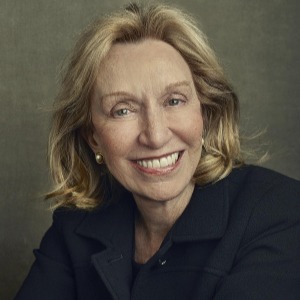 Doris Kearns Goodwin has been studying presidential history and leadership for five decades since she first became a professor at Harvard. She has won a Pulitzer Prize and her bestseller Team of Rivals was the basis for Steven Spielberg’s Academy Award–winning film Lincoln. In this book, she walks us through four case studies in leadership: Abraham Lincoln, Theodore Roosevelt, Franklin D. Roosevelt, and Lyndon B. Johnson. If you enjoy studying leadership like I do, I think you’ll love this book as much as I did. Big Ideas we explore include the one quality all of our very different leaders possessed (hint: FIERCE AMBITION), Lincoln's commitment to growth ("I must die or be better"), the importance of a growth mindset, acquiring virtue Teddy Roosevelt style and the importance of finding ways to relieve stress.